For those of us involved in business development, I would ask you this question - have you ever won a substantial piece of business without a face to face meeting? Probably very few of us ever have. I liked reading this article because it brings things back to basics, human beings react better face to face. Has anyone ever really rallied the troops via email? Lets take the example of Donald Trump, not everyone's favourite admittedly however he managed to get himself elected on the back of his public rallies - how he made people feel. Email is excellent, we could no longer function in business without it, we are probably also there with social media now also but real connection, motivation, engagement, trust happens the old fashioned way. Words, emotion, body language. Email is great for communicating knowledge but not for communicating feelings and when you take it back to basics that's what really drives us. 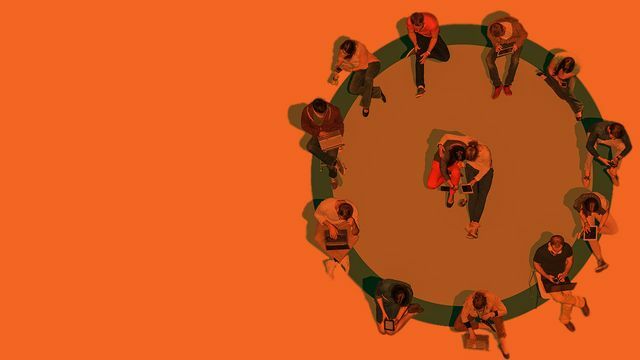 When you want help, asking 6 people face-to-face works as well as emailing 200 people.